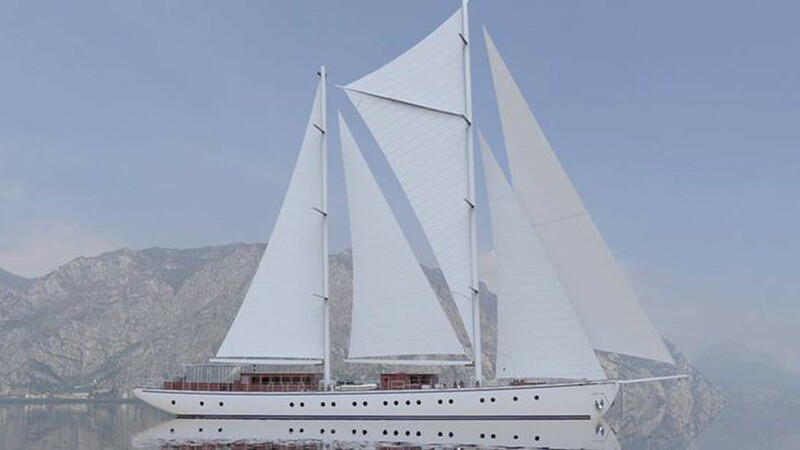 RHEA is a 54,6m (179.2ft) sailing yacht built by Ark Yacht and launched in 2017. 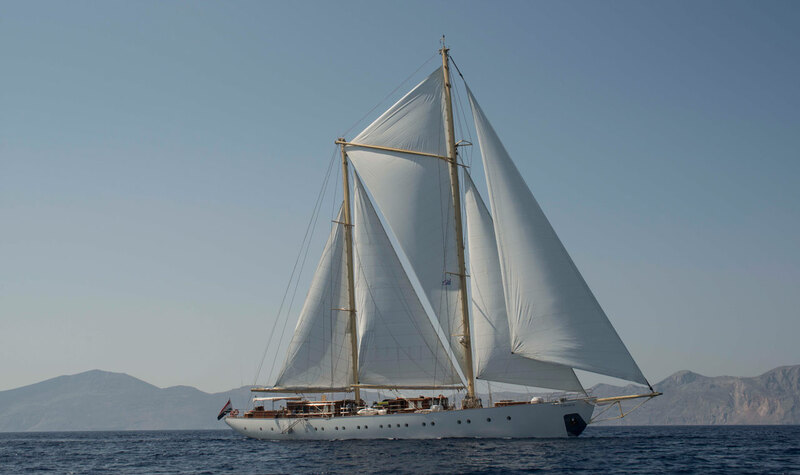 This magnificent sailing ketch is able to accommodate a large group of up to 28 charter guests, plus 6 additional children in 14 cabins. 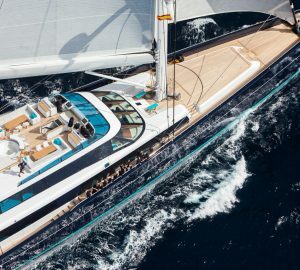 The yacht is a sistership to the equally-beautiful 2013 Ark yacht CHRONOS and is ideal for large family charters or exclusive events. 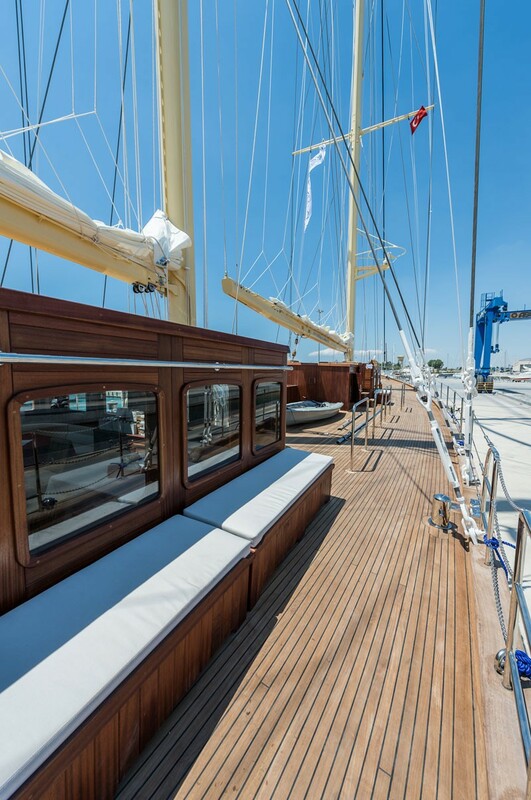 She features a raised deckhouse salon with ample areas to relax and socialize. Her salon offers dining, seating and wrap around windows, allowing a vast amount of natural light, while boasting endless views. The interior decor is contemporary and elegant, finished in teak, mahogany and neutral soft furnishings throughout. 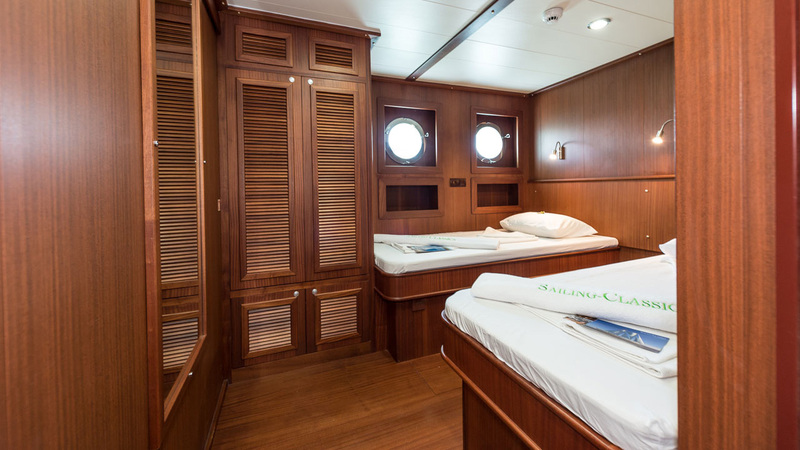 Below decks are 13 guest cabins, comprising 11 double cabins and 2 twin cabins, all of which are ensuite. 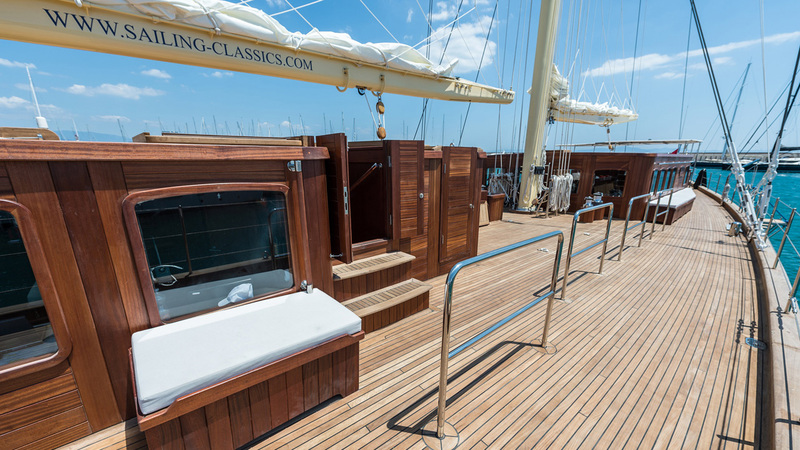 The exterior living is exceptionally generous and completely laid to beautiful teak. 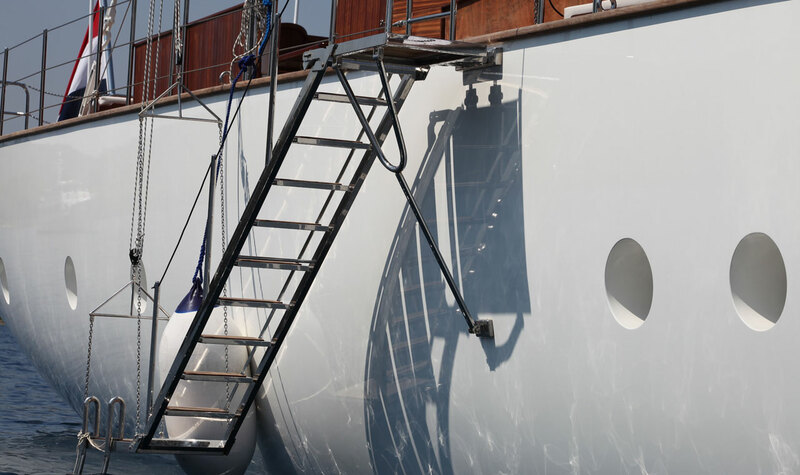 The wide 9,7m (31,10ft) beam provides optimal space to easily walk about on deck. 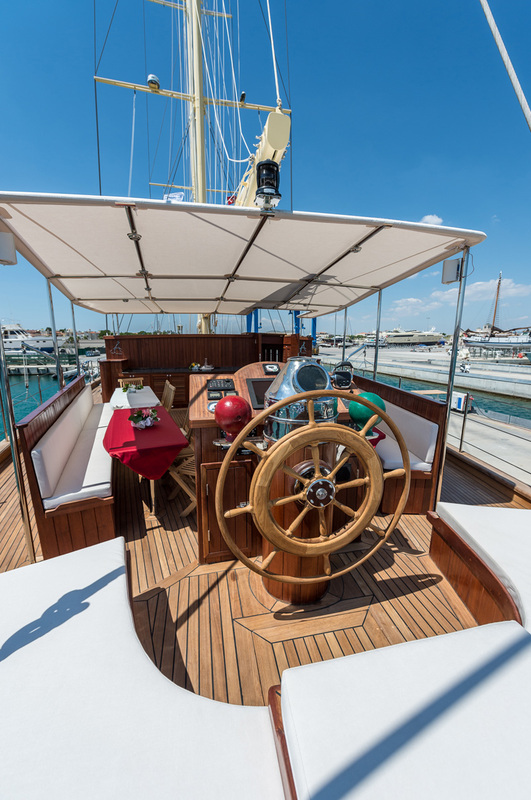 Aft is a shaded guest cockpit with alfresco dining. Leading forward there are ample areas to sit and take in the views. 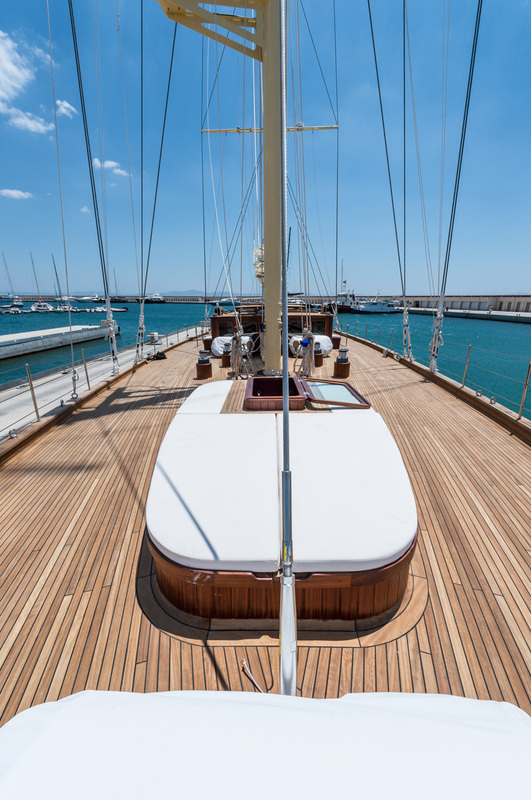 She is a ketch rigged vessel powered by 1 600hp Volvo engine. Cruising speeds are 10,5 knots while top speeds are 12 knots. 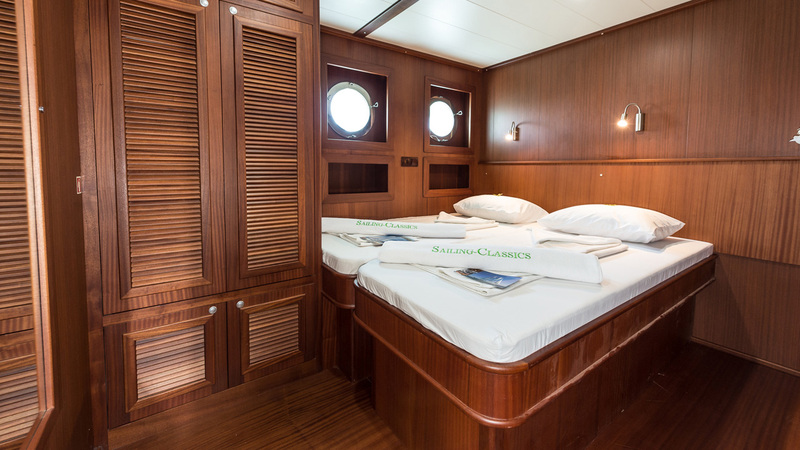 RHEA offers comfortable double cabins with en-suite bathrooms, one triple cabin and possibility of having up to 6 children in extra beds, in addition to the 28 guests sleeping. 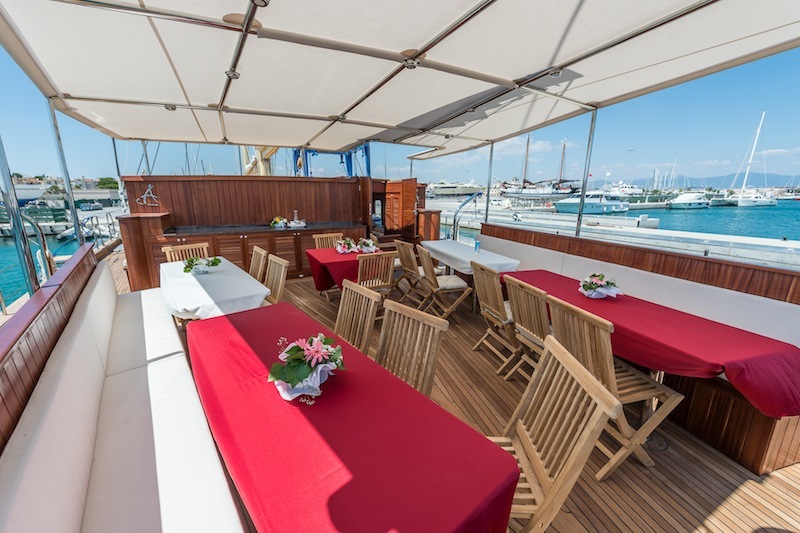 She is ideal for large gatherings or family events with plenty of great amenities and luxury service.